Is calcium sulfate safe to eat? Calcium sulfate (CaSO4) or calcium sulphate (E 516) is a calcium salt that is used for a variety of purposes including as food additive as acidity regulator, firming agent, flour treatment agent, sequestrant and stabilizer 1). The calcium sulfate hydrates are used as a coagulant in products such as tofu. Calcium sulfate (CaSO4) is also used as building materials, as a desiccant (drying agent), in dentistry as an impression material, cast, or die, and in medicine for immobilizing casts and as a tablet excipient (an inactive substance that serves as the vehicle or medium for a drug or other active substance). Calcium sulfate exists in various forms and states of hydration. Furthermore, the main use of calcium sulfate is to produce plaster of Paris and stucco. Plaster of Paris is a mixture of powdered and heat-treated gypsum. These applications exploit the fact that calcium sulfate which has been powdered and calcined forms a moldable paste upon hydration and hardens as crystalline calcium sulfate dihydrate. It is also convenient that calcium sulfate is poorly soluble in water and does not readily dissolve in contact with water after its solidification. Calcium sulfate, the calcium salt of sulphuric acid appears in two forms: as anhydrite with a chemical formula CaSO4, molecular mass of 136.14 or as a dihydrate with the chemical formula CaSO4·2H2O, a molecular mass of 172.18. Calcium sulfate exists either as odorless white crystals or crystalline powder. When dissolved both salts dissociate to calcium and sulfate ions. Calcium sulfate is of limited solubility in water. The following summary covers both calcium sulfate and calcium sulfate dihydrate. Calcium sulfate added directly to human food is generally recognized as safe (GRAS) by the U.S. Food and Drug Administration (FDA) 2). Calcium sulphate is an approved food additive (E 516) in the European Union 3). Calcium sulfate was evaluated by the Scientific Committee on Food in 1990 and an Acceptable Daily Intake (ADI) not specified was allocated. The European Food Safety Authority Panel concluded that calcium sulfate as a source of calcium for use in foods for particular nutritional uses is not of concern from the safety point of view 4). Calcium sulfate is permitted as a food additive in most foods with no other restriction other than good manufacturing practice 5). The European Food Safety Authority Panel Panel concluded that use of calcium sulfate as a mineral substance in foods intended for the general population is not of safety concern 6). If calcium sulfate was to be used as a mineral substance in foods other than water and water based beverages a “worst case” scenario would be that the intake of calcium from calcium sulfate could approach corresponding to an intake of about 8000 mg calcium sulfate per person per day, which would mean a daily intake of about 6000 mg sulfate ion per person. High bolus intakes of sulfate ion may lead to gastrointestinal discomfort in some individuals 7). In human studies the bioavailability of calcium from calcium sulfate in mineral waters is comparable to that from milk and the sulfate anion does not affect the urinary excretion of calcium. Although no studies were available in humans, based on animal studies the bioavailability in humans of calcium from calcium sulfate in other foods is not expected to differ from that of already permitted calcium sources in foods for particular nutritional uses 8). The use of calcium sulfate as a source of calcium in food supplements is of no safety concern assuming the total dietary exposure to calcium remains within the defined tolerable upper intake level and that the commercially available calcium sulfate will comply to the existing specifications as laid down in Directive 2000/63/EC 9). The tolerable upper intake level of 2500 mg/person/day for calcium was established for adults by the European Union Scientific Committee on Food in 2003 10). Calcium sulfate added directly to human food is generally recognized as safe (GRAS) by the U.S. Food and Drug Administration (FDA) 11). Calcium sulphate is an approved food additive (E 516) in the European Union 12). Calcium sulfate was evaluated by the Scientific Committee on Food in 1990 and an Acceptable Daily Intake (ADI) not specified was allocated. The intake of calcium sulfate (calcium sulphate) as used in waters and water based beverages can be estimated to be from 531 mg (375 mg of sulphate and 156 mg of calcium) to 1062 mg (750 mg of sulfate and 312 mg of calcium) per person per day 13). This intake is well below the tolerable upper intake level of 2500 mg/person/day for calcium established for adults by the European Union Scientific Committee on Food in 2003. The European Food Safety Authority Panel does not anticipate that the additional intake of sulfate from the use of calcium sulfate in waters would result in any adverse effects. In human studies the bioavailability of calcium from calcium sulfate in waters is comparable to that from milk and the sulfate anion does not affect the urinary excretion of calcium. The European Food Safety Authority Panel concluded that calcium sulfate as a source of calcium for use in foods for particular nutritional uses is not of concern from the safety point of view 14). If calcium sulfate was to be used as a mineral substance in foods other than water and water based beverages a “worst case” scenario would be that the intake of calcium from calcium sulfate could approach corresponding to an intake of about 8000 mg calcium sulfate per person per day, which would mean a daily intake of about 6000 mg sulfate ion per person. High bolus intakes of sulfate ion may lead to gastrointestinal discomfort in some individuals 15). In human studies the bioavailability of calcium from calcium sulfate in mineral waters is comparable to that from milk and the sulfate anion does not affect the urinary excretion of calcium. Although no studies were available in humans, based on animal studies the bioavailability in humans of calcium from calcium sulfate in other foods is not expected to differ from that of already permitted calcium sources in foods for particular nutritional uses 16). The European Food Safety Authority Panel Panel concluded that use of calcium sulfate as a mineral substance in foods intended for the general population is not of safety concern 17). The bioavailability of calcium from mineral water containing calcium sulfate was studied in 15 lactose intolerant male individuals and compared to that from milk. In eight of 15 subjects, there was a higher level of calcium absorption from mineral water than from milk. Bioavailability was similar in five of 15 subjects. The bioavailabilty of calcium absorption from milk was greater than that from mineral water in two of 15 subjects 18). Calcium bioavailability from natural calcium and sulfate rich mineral water was compared with that from milk in nine healthy young women. Calcium absorption was measured in the fasting state with a dual-label stable isotope technique. Fractional absorption rates were 25.0 ± 6.7% from milk and 23.8 ± 4.8% from natural mineral water. 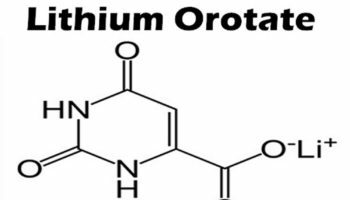 No significant difference was found in the excretion of calcium, or in the excretion of the two stable calcium isotopes. It was concluded that calcium from the calcium- and sulfate-rich mineral water was as well absorbed and retained as that from milk, and no calciuric effect of sulfate was found 19). The studies indicate that the bioavailability of calcium from calcium sulfate in mineral waters is comparable to that from milk and that the sulfate anion does not affect the urinary excretion of calcium 20). The European Food Safety Authority Panel noted that the bioavailability of calcium from calcium sulfate in waters is comparable to that from milk 21). No data were available on the bioavailability of calcium sulfate as a mineral substance in foods other than water and water based beverages. However, because absorption of calcium in the intestine requires that it is in a soluble form or bound to soluble organic molecules the bioavailability of calcium sulfate and calcium sulfate dihydrate is not expected to be significantly different from that of calcium chloride and calcium carbonate, respectively. Calcium chloride and calcium carbonate are already permitted as source of calcium in foods for particular nutritional uses and in food supplements. The European Food Safety Authority Panel concluded that calcium sulfate as a source of calcium for use in foods for particular nutritional uses is not of concern from the safety point of view 22). In its evaluation of the sulfate ion, the Joint Food and Agriculture Organization of the United Nations (FAO)/World Health Organization (WHO) Expert Committee on Food Additives (JECFA) states, that the few available studies in experimental animals do not raise concern about the toxicity of sodium sulfate. Sodium sulfate is also used clinically as a laxative. In clinical trials using 2-4 single doses of up to 4500 mg sodium sulfate decahydrate per person (9000 – 18000 mg per person) only occasional loose stools were reported. These doses correspond to 2700 – 5400 mg sulfate ion. The sulfate absorbed remains in the extracellular fluid and is rapidly excreted via the kidneys 23). In one study where sodium sulfate (18000 mg as the decahydrate) was administered orally to five human volunteers as either single doses corresponding to 8 g anhydrous salt (5400 mg sulfate ion) or as four equally divided hourly doses, the 72-hour urinary recovery of free sulfate was 53.4% and 61.8%, respectively. The single bolus doses produced diarrhea while the divided doses caused only mild or no diarrhea 24). On the basis of available studies the Scientific Panel on Food Additives and Nutrient Sources added to Food (ANS) considers that the bioavailability of calcium from calcium sulfate is comparable to other inorganic calcium salts and that the use of calcium sulfate as a source of calcium in food supplements is of no safety concern assuming the total dietary exposure to calcium remains within the defined tolerable upper intake level and that the commercially available calcium sulfate will comply to the existing specifications as laid down in Directive 2000/63/EC 25), 26). Calcium sulfate (CaSO4) is used as food additives as acidity regulator, firming agent, flour treatment agent, sequestrant and stabilizer 27). However, the main use of calcium sulfate is to produce plaster of Paris and stucco. Plaster of Paris is a mixture of powdered and heat-treated gypsum. These applications exploit the fact that calcium sulfate which has been powdered and calcined forms a moldable paste upon hydration and hardens as crystalline calcium sulfate dihydrate. It is also convenient that calcium sulfate is poorly soluble in water and does not readily dissolve in contact with water after its solidification. Calcium sulfate (CaSO4) is also used as building materials, as a desiccant, in dentistry as an impression material, cast, or die, and in medicine for immobilizing casts and as a tablet excipient (an inactive substance that serves as the vehicle or medium for a drug or other active substance). Calcium sulfate exists in various forms and states of hydration. High calcium intake can cause constipation. It might also interfere with the absorption of iron and zinc, though this effect is not well established 28). High intake of calcium from supplements, but not foods, has been associated with increased risk of kidney stones 29). Some evidence links higher calcium intake with increased risk of prostate cancer, but this effect is not well understood, in part because it is challenging to separate the potential effect of dairy products from that of calcium 30). Some studies also link high calcium intake, particularly from supplements, with increased risk of cardiovascular disease 31). The Tolerable Upper Intake Levels for calcium established by the Food and Nutrition Board is between 2000 to 3000 milligrams (mg) per day. Getting too much calcium from foods is rare; excess intakes are more likely to be caused by the use of calcium supplements. NHANES data from 2003–2006 indicate that approximately 5% of women older than 50 years have estimated total calcium intakes (from foods and supplements) that exceed the Tolerable Upper Intake Level by about 300–365 mg 32). Excessively high levels of calcium in the blood known as hypercalcemia can cause renal insufficiency, vascular and soft tissue calcification, hypercalciuria (high levels of calcium in the urine) and kidney stones 33). Although very high calcium intakes have the potential to cause hypercalcemia 34), it is most commonly associated with primary hyperparathyroidism or malignancy 35). 10. ↵ SCF, 2003. Opinion of the Scientific Committee on Food on the tolerable upper level of calcium. Opinion expressed on 4 April 2003. 18. ↵ Harpern, G.M., Van de Valter, J. and Delabroise, A.-M. 1991. Comparative intake of calcium from milk and a calcium-rich mineral water in lactose intolerant adults: Implications for treatment of osteoporosis. Am. J. Prev. Med. 7, 379-383. 19. ↵ Couzy, F., Kastenmayer, P., Vigo, M., Clough, J., Munoz-Box, R., Barclay, D.V. (1995). Calcium bioavailability from calcium- and sulphate-rich mineral water, compared with milk, in young adult women. Am. J. Clin. Nutr. 62, 1239-1244. 23. ↵ JECFA, 2002. Evaluation of certain food additives and contaminants. Fifty-seventh report of the Joint FAO/WHO Expert Committee on Food Additives. WHO Technical Report Series, No. 909. 24. ↵ Cocchetto, D.M., and Levy, G. (1981). Absorption of orally administered sodium sulphate in humans. J. Pharm. Sci. 70, 331-333. 26. ↵ EC, 2000. Commission Directive 2000/63/EC of 5 October 2000 amending for the second time Commission Directive 96/77/EC of 2 December 1996 laying down specific purity criteria on food additives other than colours and sweeteners. OJ L277, 30.10.2000 p. 1. 28, 30, 33, 35. ↵ Committee to Review Dietary Reference Intakes for Vitamin D and Calcium, Food and Nutrition Board, Institute of Medicine. Dietary Reference Intakes for Calcium and Vitamin D. Washington, DC: National Academy Press, 2010. 29. ↵ Lowe SA, Bowyer L, Lust K, McMahon LP, Morton M, North RA, et al. SOMANZ guidelines for the management of hypertensive disorders of pregnancy 2014. Aust N Z J Obstet Gynaecol. 2015;55:e1-29.